Thread adaptor from Studiospares - the mark of quality. STA4 3/8” - 5/8” Thread Adaptor. Microphones and stands use two different thread sizes. 5/8” outside Europe and 3/8” within Europe. 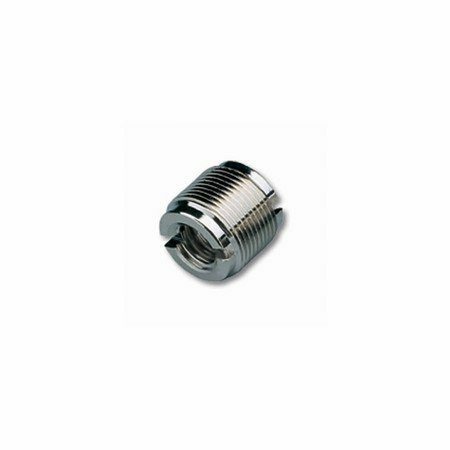 This adaptor is precision machined and then chrome plated. A slot is milled into one end to aid easy insertion and removal.